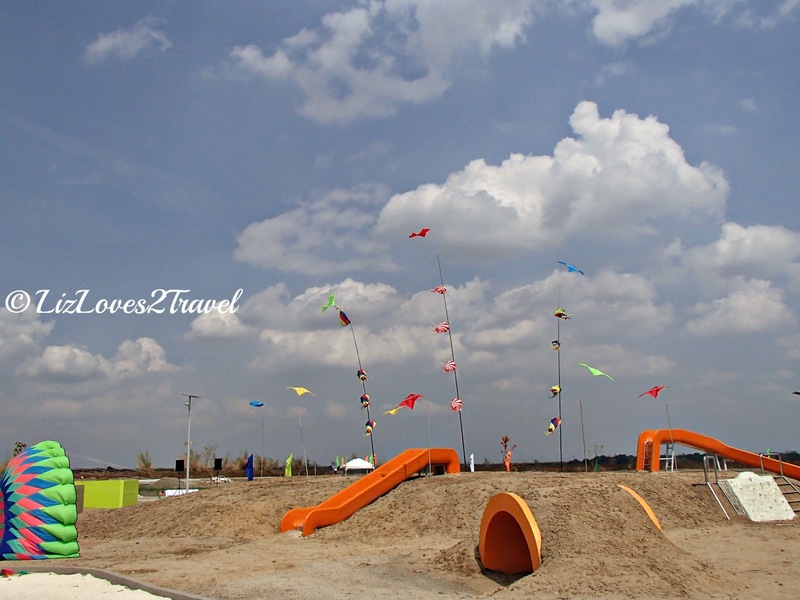 Last Saturday, April 12th, the Sandbox has officially opened to the public. I was originally invited for its Media Launch a week prior but I had another commitment. I was lucky enough to be offered to attend the Public Launch instead on the following weekend. Awesome! 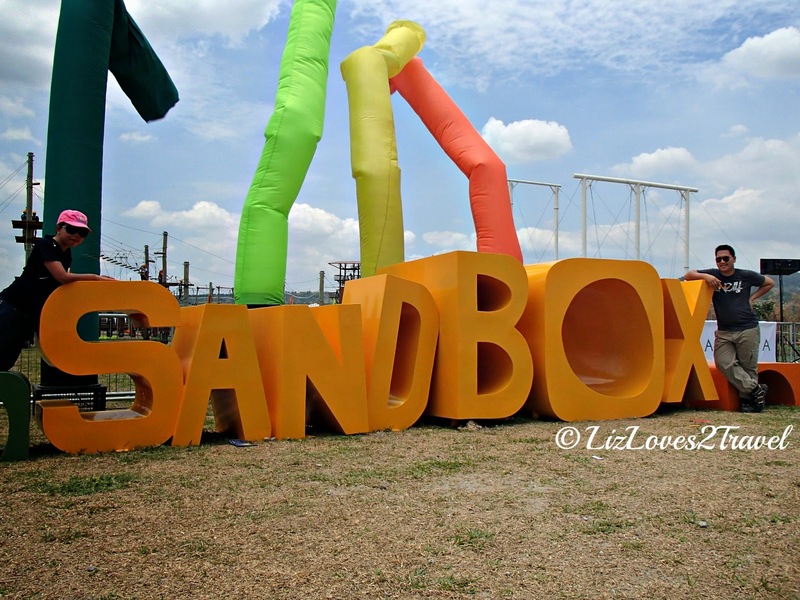 Sandbox is located in Porac, Pampanga, just an hour and a half away from Metro Manila. 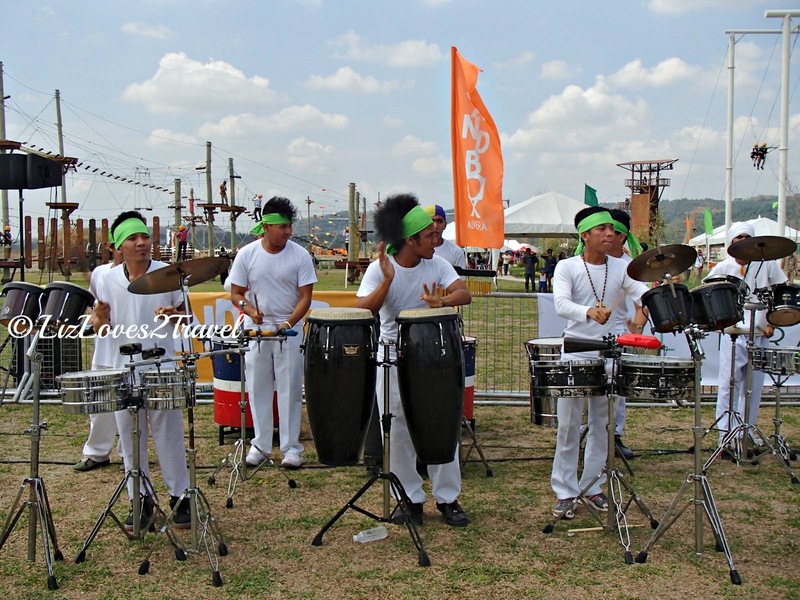 It is in a new township development called the Alviera which is being built by Ayala Land Inc. in partnership with Leonio Land. 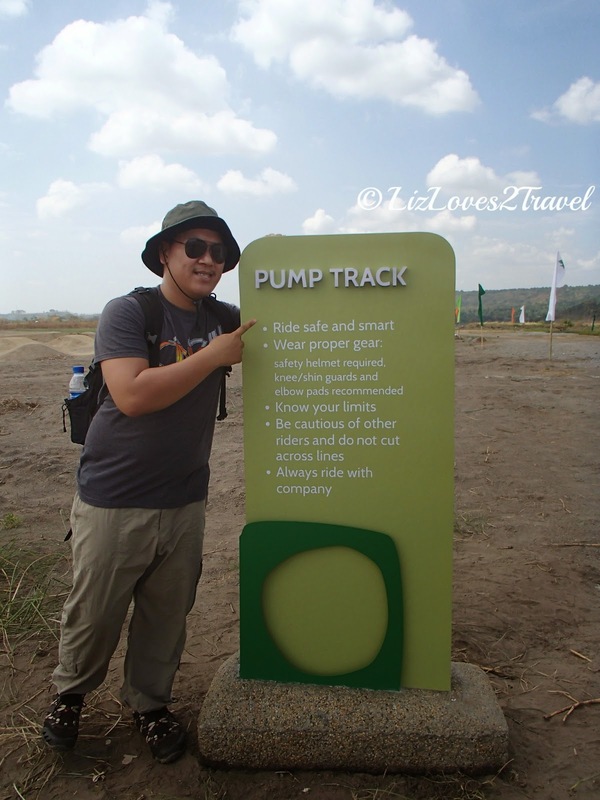 It is very easy to find as it is accessible from both NLEX and SCTEX via Porac Exit. 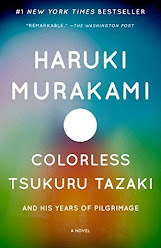 Still sleepless from the previous night's work shift, I found myself very excited to try all it has to offer. 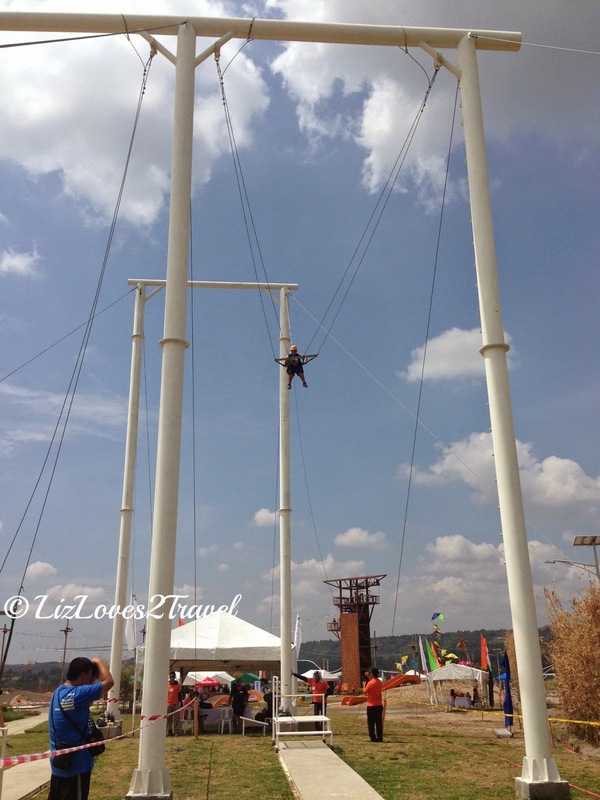 The first thing we tried was the Giant Swing. 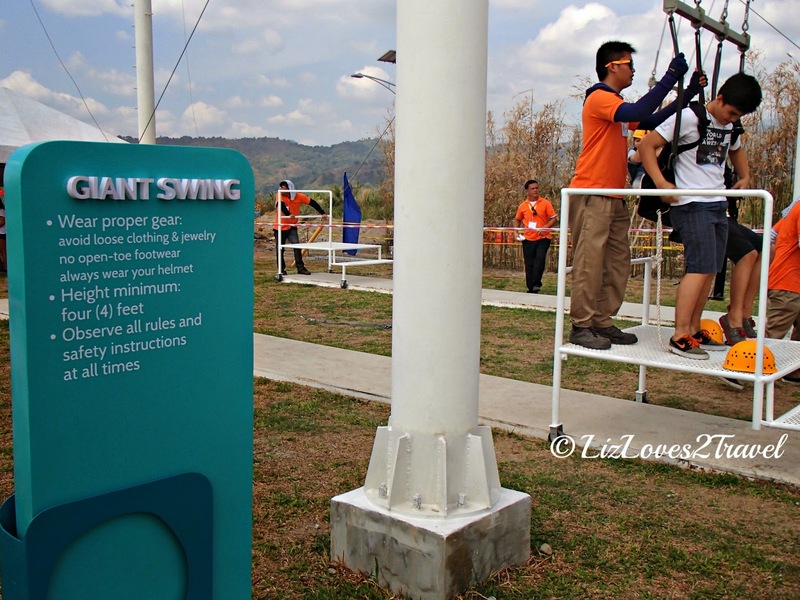 It is the tallest swing in the Philippines at almost 39 feet (10 meters)! There are 2 swings available. There's a solo swing for the brave ones and there's a double-seater for those who are afraid to go on their own. I never questioned myself if I can do it. I just know that I should. When I was already at the highest point before the drop, I just told myself "holy s***!". And then the screaming started haha. That was fun! This is the most challenging and time-consuming among all the activities. 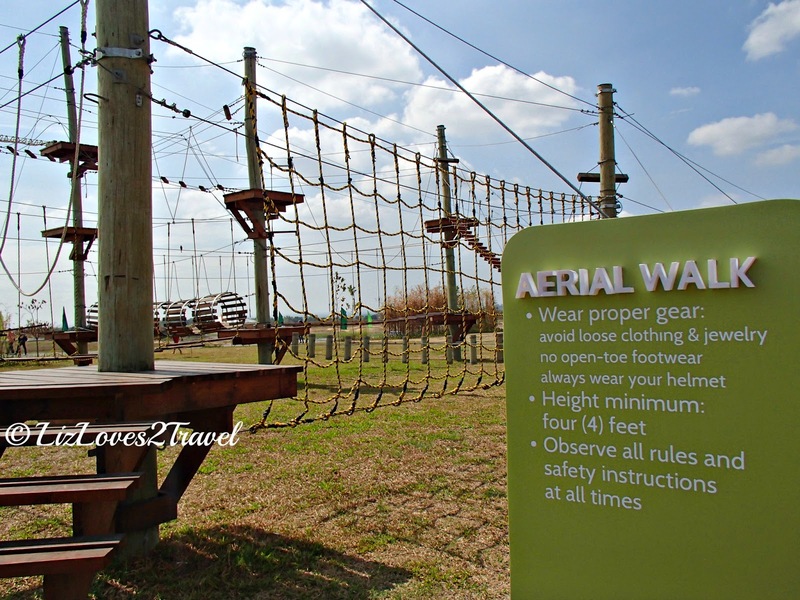 It is an obstacle course mainly consisted of high-rope challenges. You can enjoy this adventure as long as you're height is 4 feet and up. Beau's 12-year old cousin loved it too! It will surely test your strength, agility, balance and flexibility. Fit persons can probably finish this course in 30 minutes. As for me, maybe not. Maybe 60. Or more. 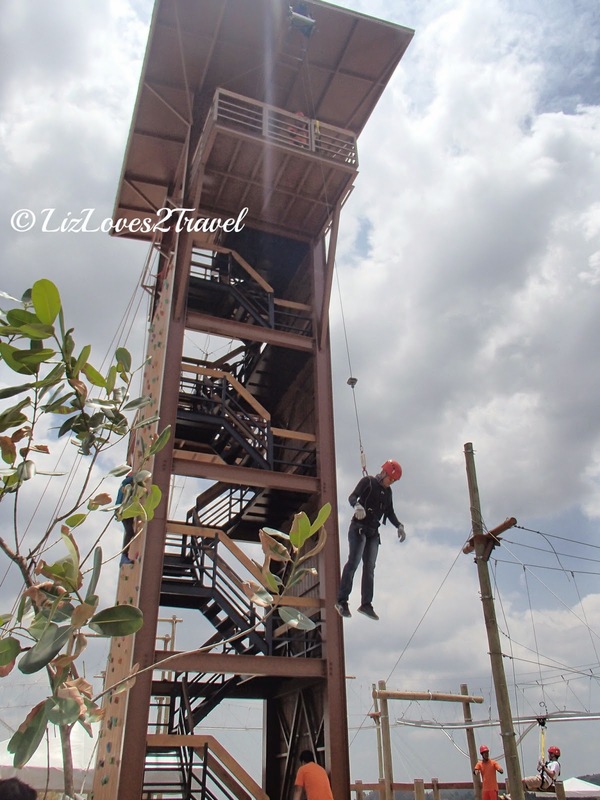 get over your fear of heights! 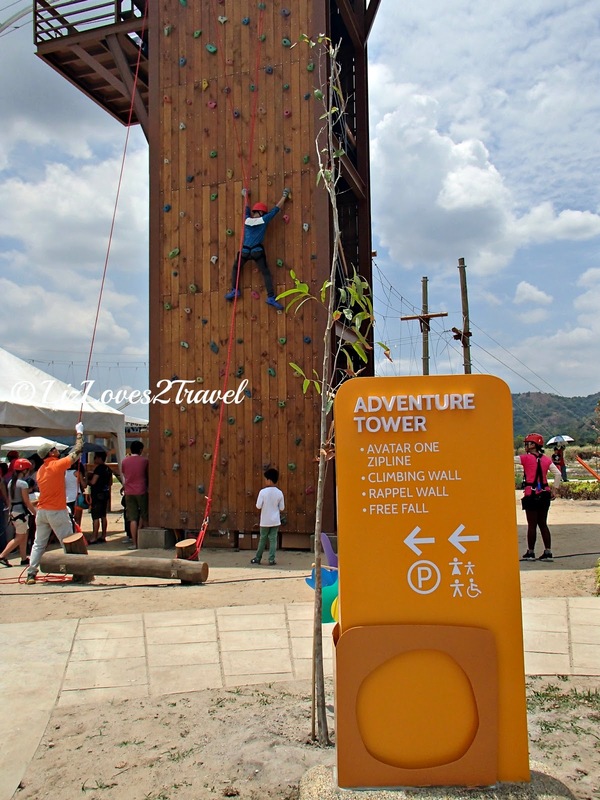 Four activities can be enjoyed in this 15-meter high tower. 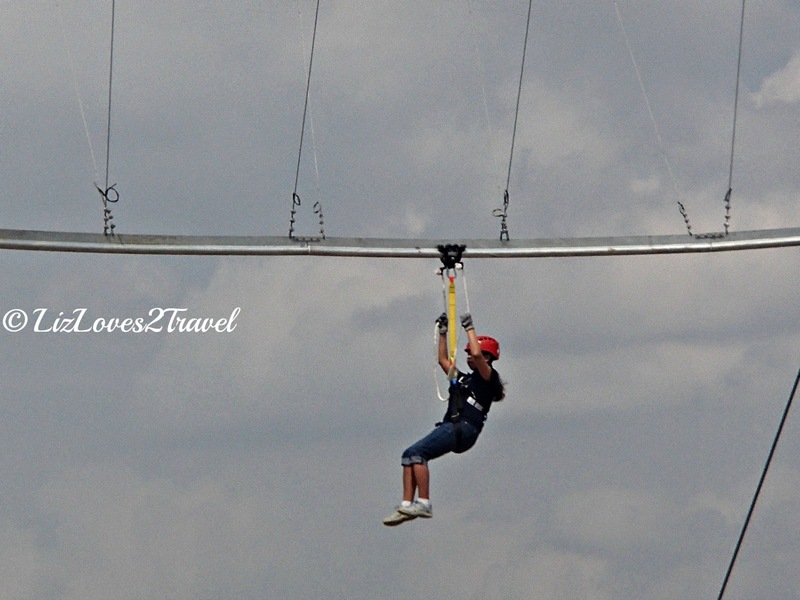 This is a good introductory activity for bungee-jumping in my opinion haha. Test your agility once more by climbing and rappeling. Another unique attraction at the Sandbox is this zipline. 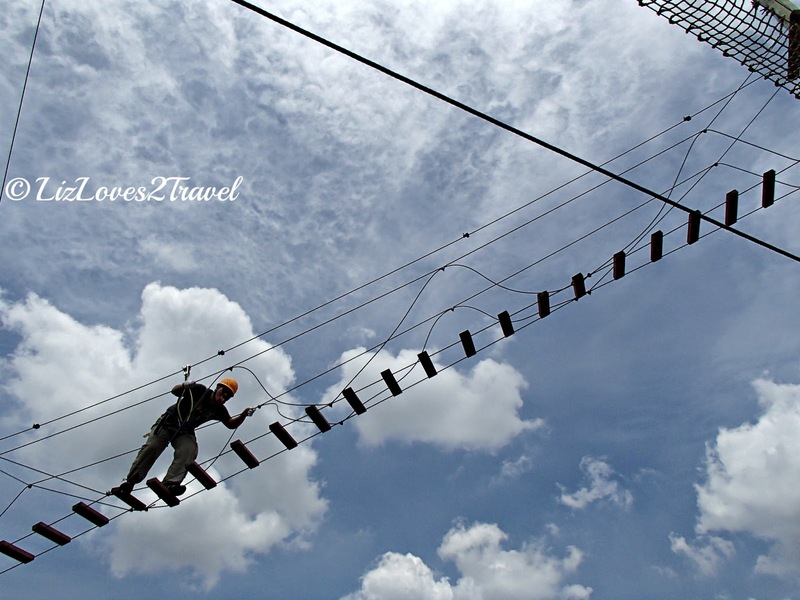 It is 180 meters long and 12 meters from the ground. 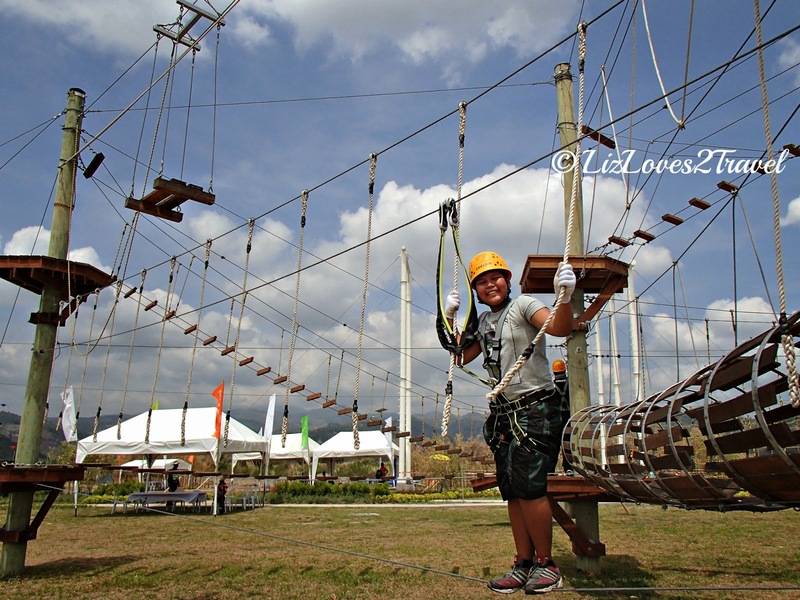 It is the first ever roller coaster zipline in the country. 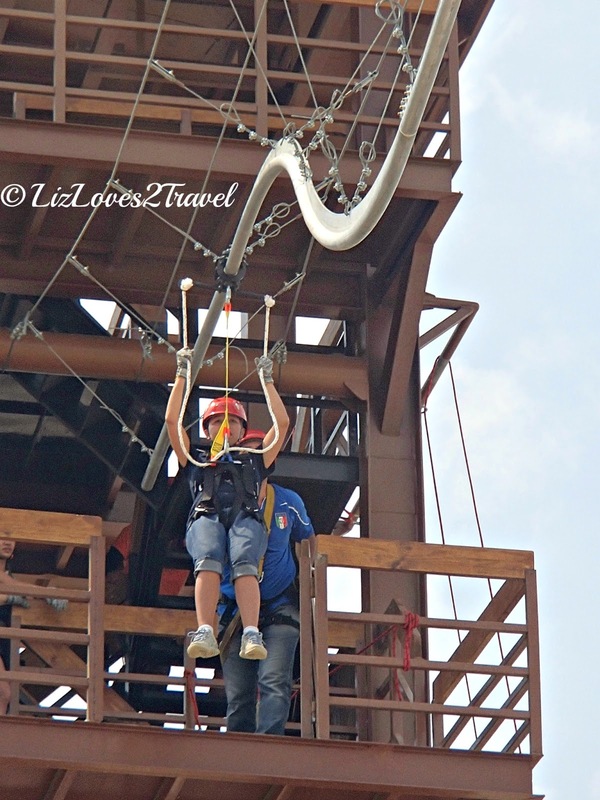 You will literally be zipping up and down like in a roller coaster which is more thrilling than the regular straight ziplines. There's also a special track here for cyclists. 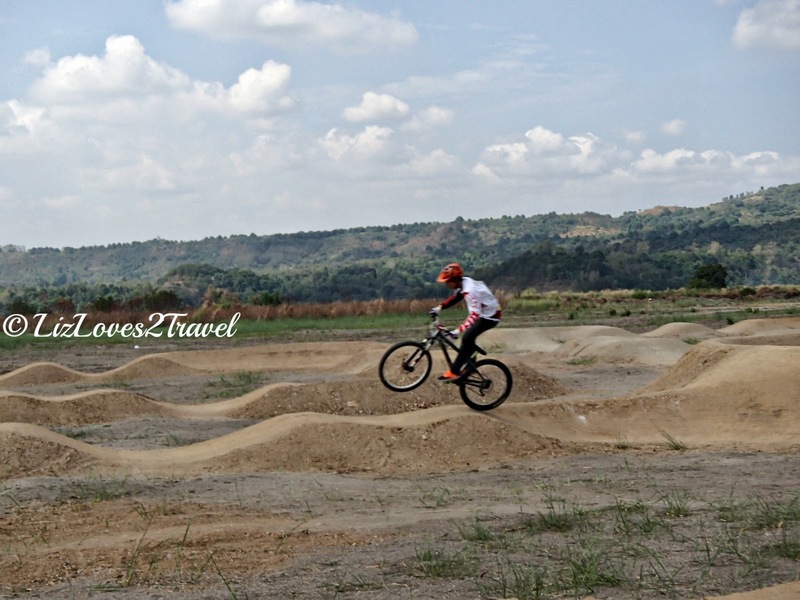 The pump track is 5,000 sqm of fun and enjoyment for those who love to bike. It is open for all types of bikes and skill levels. You can just simply be playing around, training or just testing your biking skills. Yes, you can bring your bikes. wouldn't you love to try that? 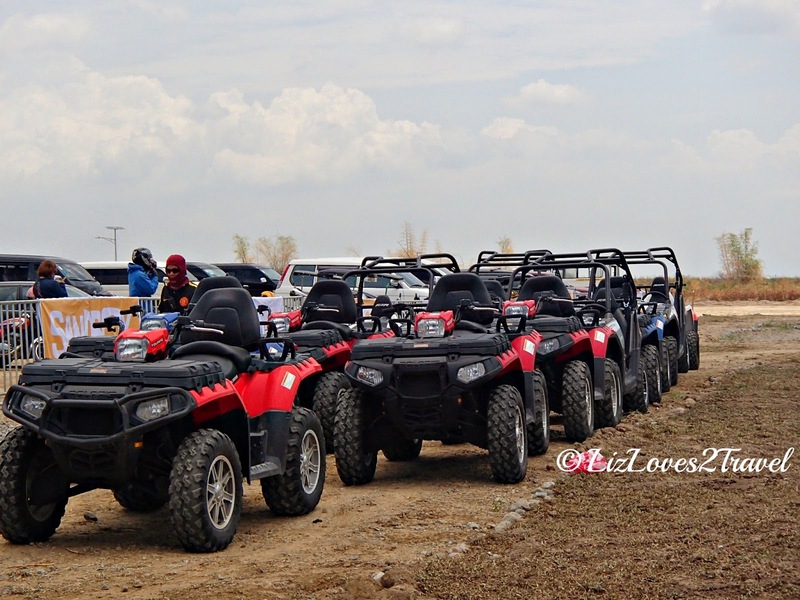 You can also go and enjoy the surrounding sights by riding an ATV. This is not usually included in the packages offered. You can hire one for Php 2,500 per hour. 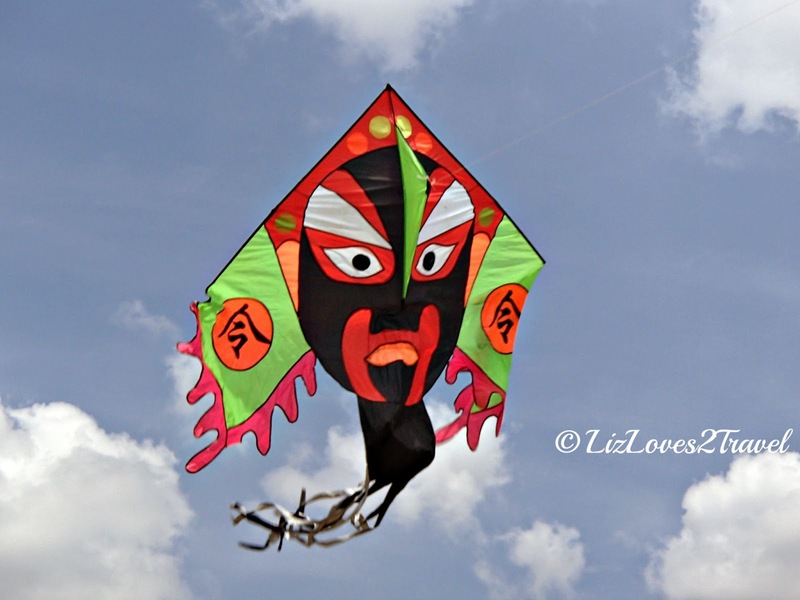 If you've already tried all those activities I mentioned above, try kite-flying! It was fun too! But I've got to tell you that this ain't easy. 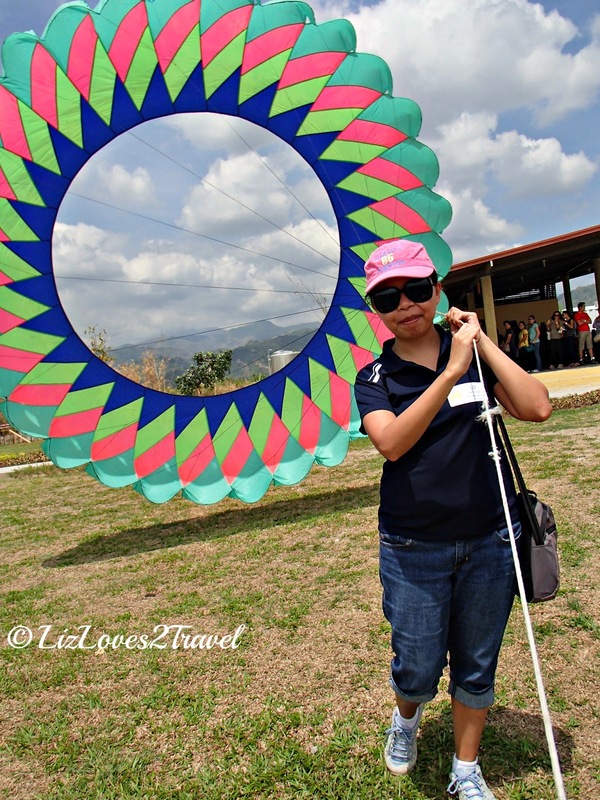 Especially with that big kite I was holding. If the wind is too strong, it'll be too hard to pull it and if you're not strong enough, you may fly together with it haha. I'm not kidding. We really had such a great time at the Sandbox! 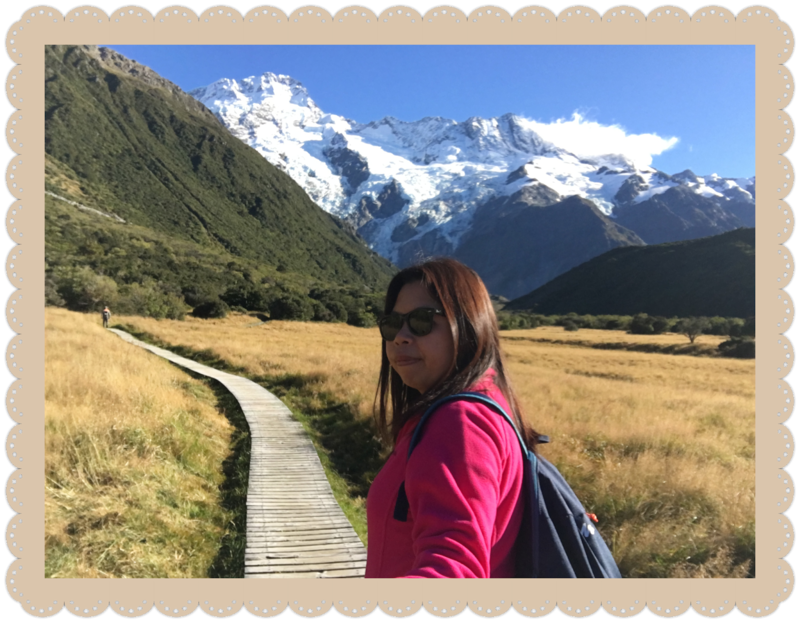 If I had a lot more time (and energy), I would have tried everything. 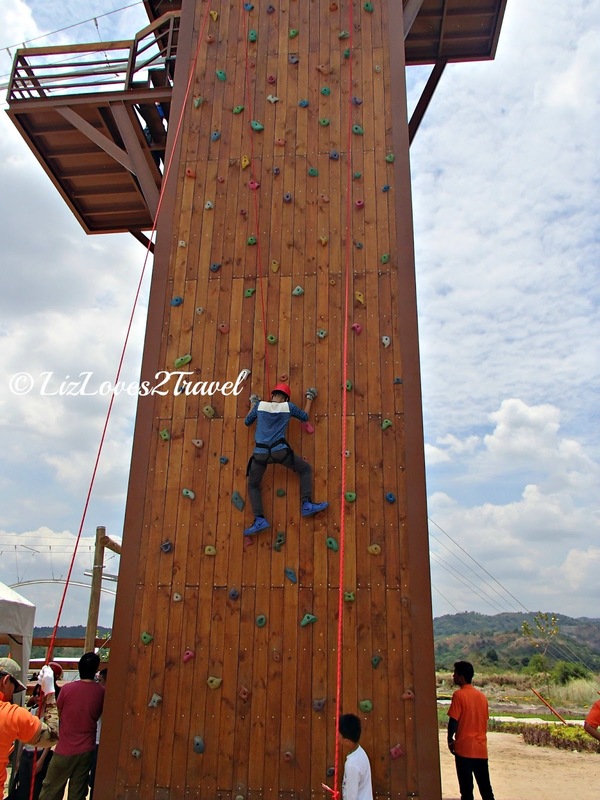 Your whole family and friends will surely enjoy their outdoor recreational activities. Sandbox is open from Tuesday to Sunday, 9AM to 5PM. For information about packages, prices and directions please visit their website www.alviera.ph or their Facebook page www.facebook.com/AlvieraPH.